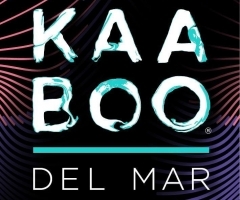 The gates opened to lines wrapped around every building to kick off Day One of the world-famous KAABOO Del Mar at San Diego's Del Mar Fairgrounds, back in its fourth year. The late morning of Friday, September 14th was a hot one, so much so that the bask area filled up fast. Between the three stages, bands like Everclear and The English Beat set the tone for an epic weekend to unfold, followed by Hunter and the Dirty Jacks, Nelly, Gucci Mane and Jimmy Eat World. 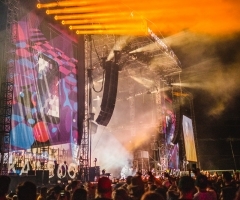 Incubus, Halsey and Blondie also graced the Friday stages, as attendees explored festival extras like the Hendrick's Gin hot air balloon, art installations, pop-up performances and more. 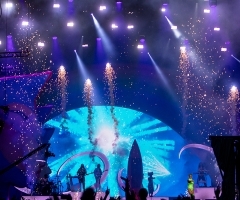 As the sun set, headliners Post Malone and Foo Fighters rocked the main Sunset Cliffs and MGM stages in their rock and rap fashion, respectively. 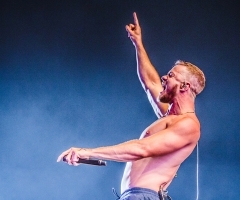 Highlights from Day Two and Three of KAABOO 4 to come!